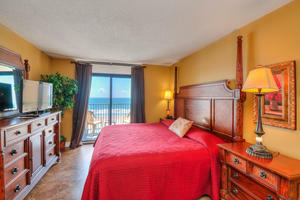 Verandas 501 on the Atlantic Ocean provides spectacular oceanfront presence and comfortable furnishings for your North Myrtle Beach vacation enjoyment. 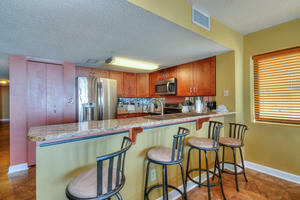 This North Myrtle Beach condominium rental is attractive and spacious. It is a condo rental that features four bedrooms and three baths and accommodates up to 12 people -- perfect for families and friends. 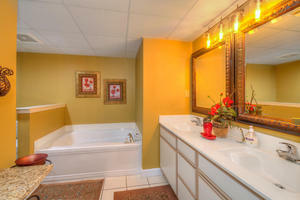 The kitchen and dining area of this North Myrtle Beach vacation rental is large, attractive, and flexible for dining and entertaining. A floor-to-ceiling mirror along the length of the living room wall provides a wide screen view of the ocean from any spot in the kitchen, dining, and living room areas. It is breathtaking -- the ocean spills into your view from every direction. 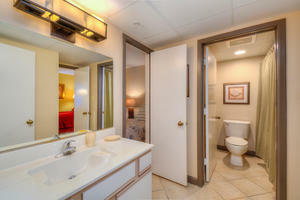 The master bedroom suite of this North Myrtle Beach condo rental contains its own private whirlpool tub. 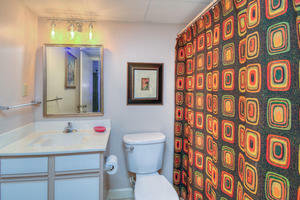 For your enjoyment, there is a wide-screen TV, stereo, DVD player with DVDs, and several board games in the entertainment center of this condo rental in North Myrtle Beach, South Carolina. 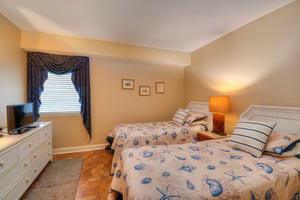 There are also DVD players and TVs in the bedrooms for individual viewing. 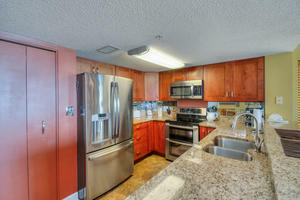 A washing machine and a clothes dryer are conveniently located inside this North Myrtle Beach condominium rental. The large oceanfront balcony at Verandas 501 is your window to colorful sunrises and sunsets. 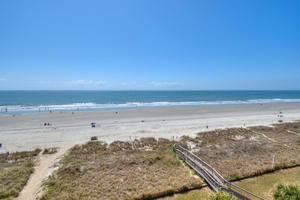 Enjoy fiery morning sunrises, midday sun, and wispy sunsets during your North Myrtle Beach vacation at Verandas 501. At night the moon shimmers across the ocean and lights the beach below in a romantic setting you will long remember. WOW -- what a view! Relax and soak it in. From here you can watch the dolphins swim by. Then, look south for miles along the beautiful crescent shore. 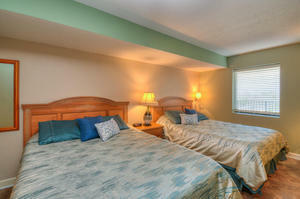 Treat yourself to a cannot be missed North Myrtle Beach vacation in spacious comfort at the Verandas 501 in North Myrtle Beach, where fabulous live entertainment, fresh seafood, and thrilling water activities are just minutes away from this oceanfront resort.